Private offices and co-working spaces located on Stratford High Street. The office space benefits from air conditioning, furniture and a manned reception. There are meeting rooms, a business lounge and clients can benefit from onsite secretarial support if required. Office space close to Stratford High Street DLR station, Underground and Train Station in Stratford. 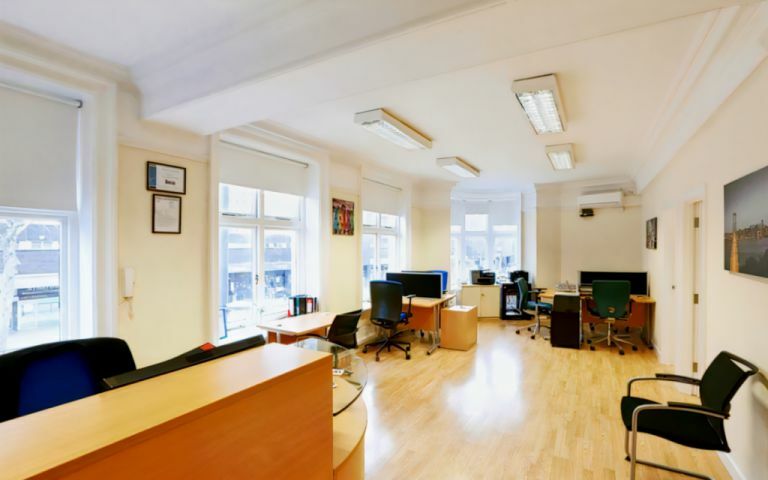 These offices in High Street offer a range of prices depending upon your exact requirements. Contact us now and we will help find the best price for you, based on your individual needs. Built in the 1976, currently undergoing refurbishment work & the installation of a new telecoms & IT system. This site has 4 floors, with over 27,000 sq ft of serviced offices available. More than a rented desk, We offer an inclusive co-working community where inspiration, openness, and productivity flourish. Easy Offices Where is the nearest place to get lunch near High Street? Easy Offices Where is the nearest public gym to High Street? Easy Offices Where is the nearest car park to High Street? Easy Offices Where is the nearest coffee shop to High Street?